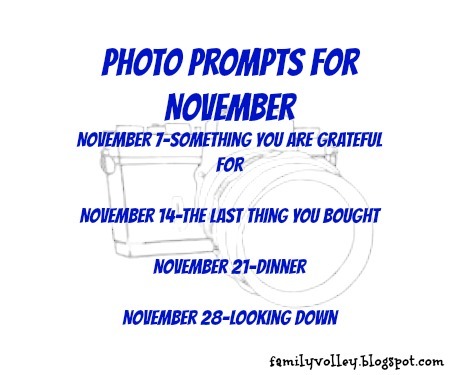 You might remember how at the beginning of the year we started a Photo Challenge here on Family Volley. The point of the challenge was to slow down, gain new perspectives, and capture more of the everyday family moments that make up our lives. We took a break over the summer, and it has taken me too long to get things running again. Thank you to all of you who have inquired about the challenge, and held me accountable. The time has come to get moving again. I hope you will all join in. There are a few different ways to share our photos. Are you on Instagram? If not, you should give it a try. You will "instantly" be hooked. A lot of us use our phones to take our pictures, and Instagram is a great way to share those photos quickly. You can find me @familyvolley. I would love for you to follow me, and I would love to follow you. Leave your Instagram name in a comment on this post (or email me) so I can follow you. We will use the hashtag #familyvolley and #fvphotochallenge. That way we can all find each other each week and follow along. 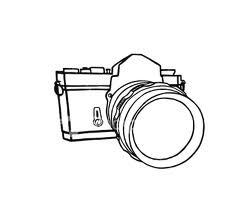 I have created a Flicker Group for everyone to share their photos and leave comments. If you don't have an account, don't worry. It is so quick and easy. To join our Flicker group, just click here on Family Volley Photo Challenge 2012. It will take you right to it. If you don't have an account, create one really quick and you can upload your photo. You can also find the group by logging in to Flicker, and then search for Family Volley Photo Challenge 2012 under GROUPS. Should pop right up for you. (If you have any trouble, let me know and I can send you an email invite). You can also share your photo on your blog, or other social media site. Leave a comment so we all know to click over and check out your photo. This is such a busy time of year. Let's all take a few minutes a week to slow down and capture more of the family moments that we want to remember. the post is bast side.Photo Challenge is our life in inportand,it is smartAnd My website.